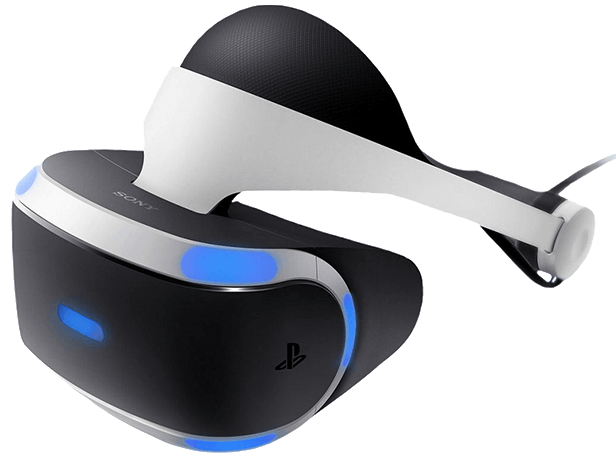 Introducing Sony’s answer to VR headsets: the Playstation VR. Designed to function with the playstation 4, this particular headgear provides multiplayer action even with just one headset! The PS VR incorporates the playstation move; controllers previously released for the console so for some players, learning the controls will be no sweat. Unlike the vast majority, this headset will operate along with a console - a unique approach. While the price for this system might not be as high as its competitors, the PS4 and other accessories are essential for gameplay and therefore, increasing the cost. However, if you already have the PS4, then this would be a great option for you. “Built for everybody”, PS VR includes the common adjustable head strap for personalised comfort along with a slick design so the headset can smoothly slip on and off. It was built to be as lightweight as possible so we can forget it’s even there - vital for a headgear system. The biggest feature that Sony are showcasing is its dual-player modes, taking away the misconception that VR is a solitary gaming venture. The VR headset has the capability to produce an image not only in the headset but also on a screen for other players to interact with. Other VR headset producers have considered multiplayer but only with numerous headsets; Sony have discovered a different approach. The PS VR have also introduced a new way to play with the playstation move. Using the camera, the playstation can calculate your presence with a great degree of accuracy enhancing in-game performance. Luckily for us, bundles are now available where we can preorder the headgear along with the required remotes. PlayStation VR is an affordable introduction to quality VR. Many of the experiences aren't as crisp or as immersive as the ones found on the Oculus Rift or HTC Vive but, for a system that uses a PS4 instead of an expensive PC gaming rig, we're not complaining. More than any single piece of cutting-edge technology, the key to making VR succeed is just getting more people to use VR. And with PlayStation VR, Sony has just made that a lot easier.